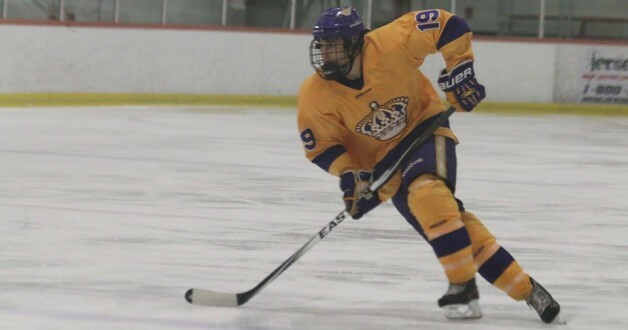 Cole Guttman, a member of the Los Angeles Jr. Kings’ Pacific District champion 16U AAA Major team this past season, will attend and play his NCAA Division I hockey at St. Cloud State University following his junior career. A forward from Northridge, the 1999-born Guttman tied for the 16U division lead in Tier I Elite League scoring this year with 48 points (24 goals) in 30 games. Guttman has since joined the Dubuque Fighting Saints for the United States Hockey League team’s playoff run. “I’m very excited about my commitment St. Cloud State,” said Guttman. “They have a successful program, amazing coaching staff and a style of play that fits my game,” said Guttman. Guttman also earned the distinction of playing three games for the U.S. National Team Development Program’s Under-17 Team over the holidays. Guttman also grew up playing for the California Heat where he won a Pee Wee AA national championship in 2011 under the guidance of assistant coach Robbert McDonald, who now coaches in the Jr. Kings program. A member of the National Collegiate Hockey Conference (NCHC), St. Cloud State finished fifth in the country this past season after forging a 31-9-1 overall record (21-6-1 in NCHC play) on its way to a NCHC championship and a berth to the NCAA tournament. Forwards Robby Jackson and Patrick Newell, both former Jr. Kings, recently wrapped up their freshman seasons with the Huskies.